Do you ever wonder where the day went? 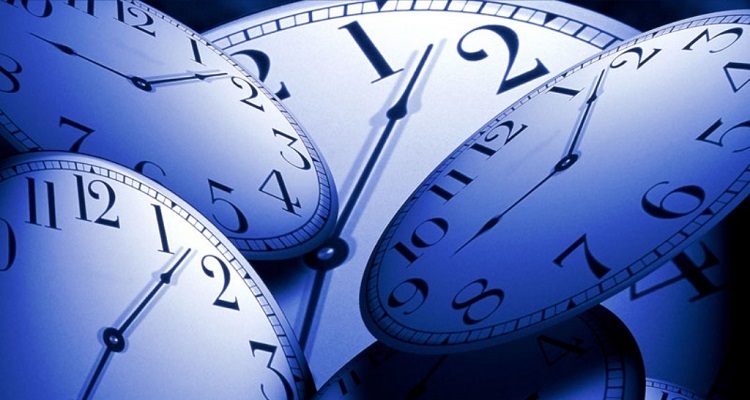 We all know time is the most precious resource, yet most of us don’t seem to value it enough. If you’re the kind of person who wants to get more out of their time and life, we have some tips to help you get there. The first step to fixing anything is knowing that it’s broken. Identifying that you have more to do than time in a day (a problem everyone trying to do anything significant has) is the first step. Big dreams require big execution which takes big time. Make today the day you do something about it. Make a decision and put it in the lock box. Wanting to change and taking the first steps to make it happen is almost as important as identifying the initial problem. Now its time to set some goals. First, take your big objectives, and break them down into chunks of years, months, weeks, days. Then break down your days into particular tasks that you can attach time management goals to. But creating goals is just the first step. Sticking to them is the hard part. Make sure you review your goals on a regular basis, tracking your progress and adjusting as needed. Apps like Lift are great for helping you form habitual change. Creating a daily task schedule or to-do list should be done first thing in the morning or at the end of the previous day. Tools like Workflowy and Wunderlist are great for creating simple, uncluttered to-do lists. If you have a specific set of actions you need to accomplish each day Process Street can help you with that. The above tools are great for task lists but there are other tools designed specifically for time management. Google Calendar is an obvious one, allowing you to schedule blocks of time during the day for particular tasks. Rescue time is also a great tool to track your web usage and even block sites during a certain time of the day. Saying no is an incredibly effective time management tool. In a big city, in a busy world, there are many people vying for your attention. But is every trip to the pub really worth it? Do you really need to see that person for coffee or lunch? Or are you just procrastinating, afraid to grab your proverbial nuts and put in the work to achieve your dreams? Read this if you need more convincing. Organization is key for effective time management. How you organize is up to you. Some people organize their documents and workspace in a very structured manner, making it easy to find things fast. I on the other hand use Evernote like a madman, using its in-document search functionalities to find documents quickly. I also use Workflowy to “Organize my Brain”. Even if you do all the above, there is still a ceiling to what you can accomplish on your own. No skyscraper, city, government or multinational corporation was ever built by one person alone. If you want to get more done, at some point you will need to hire people to help you. Whether that is a gardener to help you mow the lawn, or a CFO to handle your corporate finances, there is little doubt the way to get the most done is to recruit people to help you accomplish your goals. Tools like Process Street, Trello and Asana are all great to help you manage people and teams more effectively. Time is the most precious resource we have, make sure you use it effectively. Thanks for the info! You need to make sure that you are managing your time and tasks well to ensure your productivity especially when your working online. Using web-based time tracking tools is an effective way to make sure that you are handling your time well. Websites like https://www.clockspot.com/ can help you find the best time tracking tool for your projects.